Winter has arrived. If you haven’t already, you need to get your home winterized against pests. 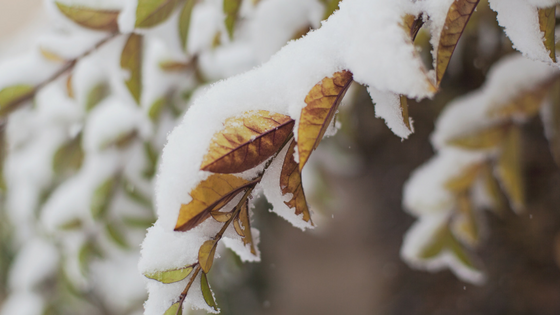 Knowing exactly what to do can be confusing, so we created 4 Steps To Prevent Winter Pests. Walk around your house and look for fallen or low hanging branches. Any limbs that come from a tree and touch your home will provide a path inside. The types of animals that can use the branches or tree limbs are: ants, spiders, squirrels, raccoons, and other any other small rodents. Many insects, rodents, and other pests need just a small opening to get into your home. Look for cracks in your exterior. Check crawl space entry way and vents to make sure they are intact. Inspect windows for dried out caulking. Then, make necessary repairs. This will block the pests on the outside and possibly keep your electric bill down. We know it seems obvious… but don’t feed the pests. Clean up spills and crumbs immediately. Inspect your trash can for a tight sealing lid. Tie trash bags tightly and put in a secure refuse bin. Use cedar mulch around your home. Your home is not a restaurant. A slow dripping faucet or HVAC unit provides life nourishing water to pests. And, termites are drawn to the leaking HVAC tube next to your home. Inspect or call a professional plumber/HVAC company to have any leaks inspected and repaired. Block off the water supply and let the bugs go next door.